Kyle Gilliland of Mooresville, N.C. poses with "Big 6," his favorite trophy, though not his biggest. What’s your most prized hunting trophy? In all your hunting days, what is your most prized trophy? 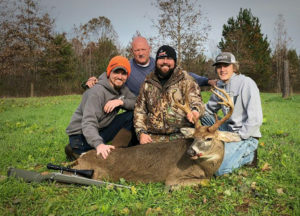 For many hunters, it’s the buck with the highest-scoring rack, or the most points For really lucky hunters, it’s the deer that got them into the state record book. For Kyle Gilliland of Mooresville, N.C., his most prized trophy doesn’t meet any of the criteria above. This past November, Gilliland killed a big-bodied buck with a nice rack. But he has killed prettier deer. And he’s killed deer with bigger racks. But he had a history with this buck that not many hunters will ever match. 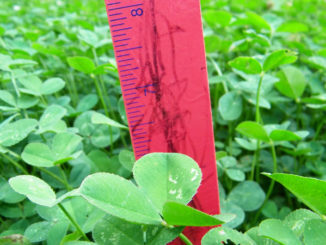 The mainframe 6-pointer, which had a total of 9 points, scored nicely enough — 122 4/8 inches. And the deer was estimated at over 225 pounds. And Gilliland couldn’t be happier if he’d killed the new North Carolina state record. “The trophy doesn’t matter in the public’s eyes; it’s in the eyes of the beholder. This was a true trophy to me. The buck was a minimum of 7 1/2-years-old, and probably 8 1/2-years-old or better,” he said. 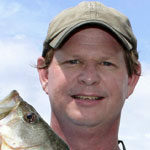 And Gilliland had been tracking him with trail cameras for more than four years. That’s when he first noticed the already mature buck with the so-so rack. 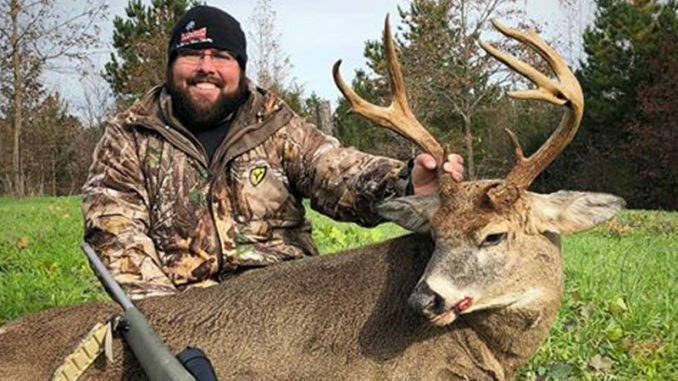 “I never did really pay much attention to him because he didn’t have near the rack as some of the other bucks, or of some other bucks I’ve been fortunate enough to kill,” he said. But as time rolled on, Gilliland kept catching trail cam photos of the deer, and noticed that it was bullying bigger deer around. 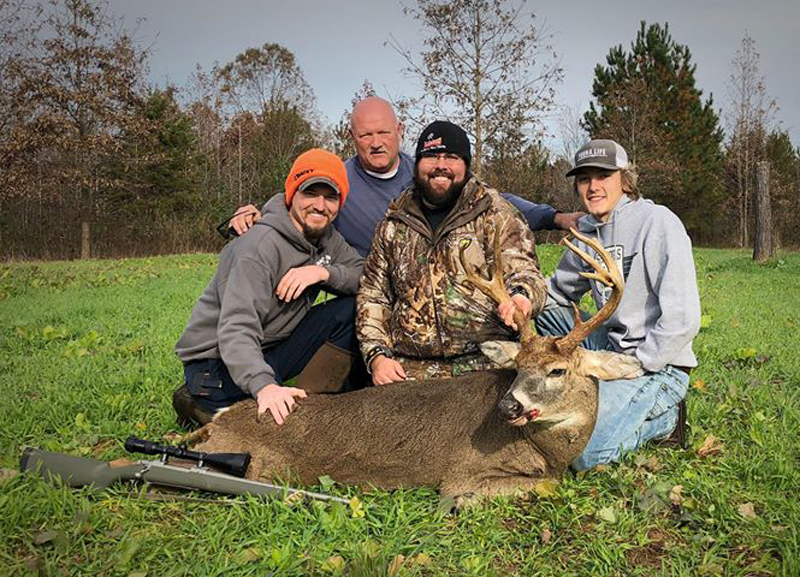 For the past four years, Gilliland has guided deer hunters in Illinois through their fall season. So his time hunting in North Carolina was limited. But his trail cameras were still on the job, and the buck he named “Big 6” was the star of the show. Gilliland said he appreciates all the support he got from family and friends while pursuing this buck. Big 6 showed up in thousands of trail camera photos over the past four years, but rarely during daylight hours. And over those years, when Gilliland wasn’t in Illinois, he was hunting Big 6. He planted food plots for the buck and created travel corridors for it. He made multi-directional paths for himself to access his hunting stand undetected no matter the wind conditions. And he crawled on his hands and knees through thick brush during the off-season hoping to find antler sheds from the buck. “I monitored trail cameras, and as soon as he shed his antlers, I walked and crawled that farm to death searching for his sheds. Although I never found them, I learned a ton from all the sign,” he said. In the spring of 2018, Gilliland mixed his own concoction of minerals for Big 6, added cellular game cameras to stay up to date without pressuring the area, made a couple of new food plots, and then stayed out of the woods in hopes of keeping the big deer comfortable. And once deer season opened, he hunted that stand sparingly. On Nov. 25, it all came together. Gilliland slipped into his stand in the dark of early morning, undetected by several deer already in his food plot. But as daylight came, he realized Big 6 wasn’t one of them. But at 8:50 a.m., he heard a loud, deep, single grunt. It was Big 6 about 100 yards away and coming in fast. “When I looked up, I saw him, head to the ground, trotting my way. He looked like a bull. I didn’t even give him a chance to stop. I squeezed the trigger on my .300 Win Mag and just like that, in a blink of an eye, it was over,” he said. “He was much bigger than I expected. He looked like a Brahma bull lying there. I’ve never seen a North Carolina deer with a body this big. His rack wasn’t near as big as some of the other bucks I’ve been fortunate enough to shoot in my life, and I could honestly care less. This deer was by far the oldest, and the most meaningful due to the journey, the history, and the lessons learned. I want to thank my friends and family for all their support. It’s a great end to an amazing journey over the past four years,” he said.